Zing plug lockouts are made from eco-friendly recycled plastic and includes instructional label. Small plug lockouts accepts up to a 1/2" diameter cord and 2" width x 3" length plugs and accommodates 3 padlocks. 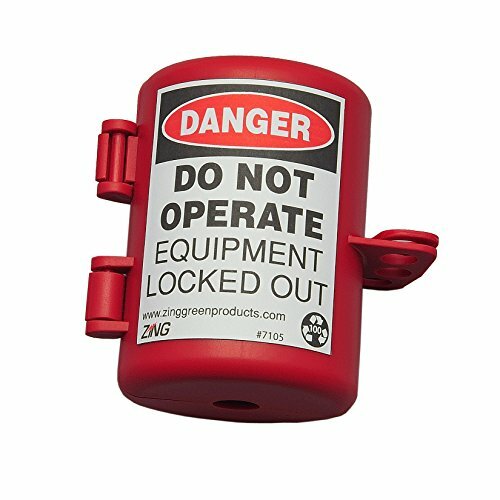 Fits electrical plug sizes of up to 2" diameter x 3" length with cord diameter up to 1/2"
Label reads, "Danger - Do Not Operate - Equipment Locked Out"
If you have any questions about this product by Zing Green Products, contact us by completing and submitting the form below. If you are looking for a specif part number, please include it with your message.